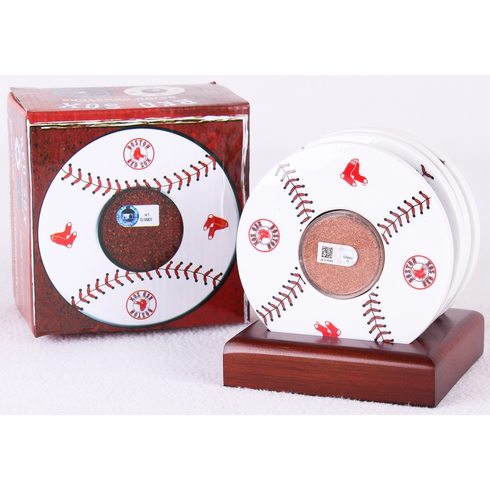 These four 4" porcelain coasters feature the Red Sox logos and authentic game used dirt from Fenway Park. Each one of these coasters comes with an individual numbered hologram authenticating the dirt from Fenway Park. This is a truly unique item and great gift idea for any Red Sox fan. Non skid base on each coaster and the set comes with a wooden stand to display the unique coasters when not in use! A Steiner Sports Certificate of Authenticity and MLB Hologram are included.